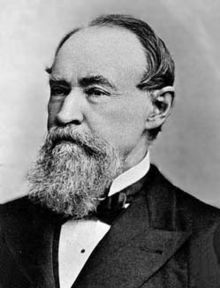 Born in 1817, William Ferrel would develop many important meteorological theories that would help to explain mid-latitude atmospheric circulation. The Ferrel Cell is named after him, and it explains how the polar cell is created. While the theory is currently still up for debate, as some scientists believe such a cell does not exist, it provides some important context for both the Hadley and Polar cells. Ferrel spent a great deal of time working on the basics behind the Coriolis Effect, trying to explain atmospheric circulation at mid-latitudes. He attempted, in great detail, to discuss the properties of warm air and how it rose and rotated. His theories branched off of work already done by George Hadley, but Hadley had only done most of the job. He’d overlooked the specifics, and missed an important mechanism that Ferrel managed to observe. Ferrel essentially correlated the motion of the Earth with the motion of the atmosphere, showing how centrifugal force is created. Hadley was able to show that the atmosphere cannot maintain equilibrium with its motion either increasing or decreasing. He also successfully showed that these movements are dependent on the Earth’s surface. Unfortunately, that’s only a portion of the story and it’s not entirely accurate. Ferrel was able to show that when anguler momentum is taken into account, that air moves relative to the Earth itself. Once Ferrel had made this discovery, a fuller picture of our weather systems began to emerge. This important observation still plays a major role in meteorology.